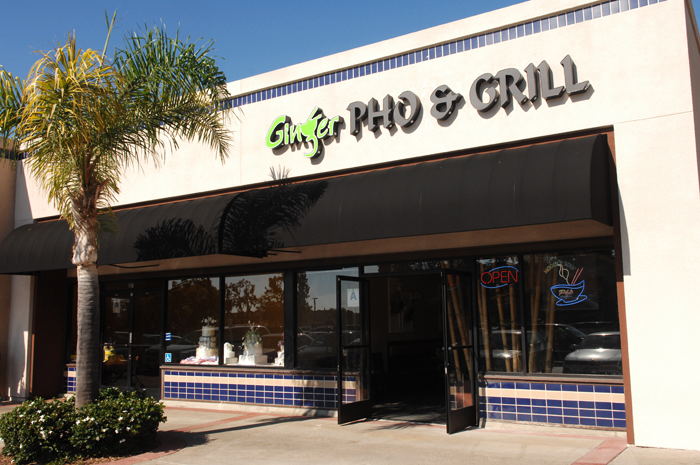 The best Vietnamese cuisine - Pho Ginger & Grill welcomes you to San Diego for a taste of Vietnamese delicacies and authentic cuisine. Grand Opening on August 11, 2010, our family owned restaurant boasts dishes full of exotic and liberal herbs. Whether you are from San Diego or just stopping by for a weekend retreat, our creations will suit your needs. We look forward to sharing with you our delightful, savory and distinctive home-style dishes reminiscent of our native country — all served with the charm and hospitality of the Pho Ginger & Grill family.